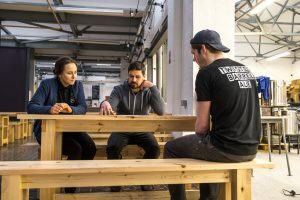 DE14 brewer Aneta Izdebska travelled from Burton to join forces with Ritchie Bosworth, Twisted Barrels head brewer. 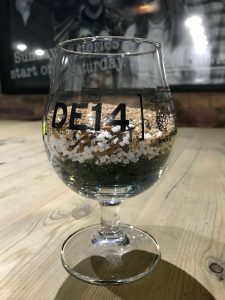 Our plan was to brew a collaborative 4.8% ABV hazy Belgian session IPA named Mathilde. The beer takes its name from Queen Mathilde of Belgium, a leader in championing women’s rights in Belgium. 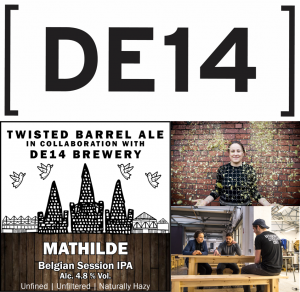 Next, Twisted Barrel came to our house and brewed at DE14. This incredible beer is currently fermenting ahead of kegging next week. 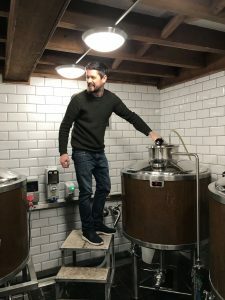 Ritchie had a great day brewing with Jenny Hagyard at DE14 and we learnt a lot about their techniques and brewing principles.